Normally, Thrillist doesn't get political. This website is about having fun. But there's a movement happening right now that's of such monumental importance, it can't be ignored: bringing Krispy Kreme's Reese's Peanut Butter Donuts to the United States. This petition on Change.org is spurring Krispy Kreme to bring the delectable donuts to citizens of the greatest country on Earth. When news of the mouth-watering pastry broke, the Internet reacted with fervor. This Facebook post garnered more than 28,000 shares in less than 24 hours -- and for good reason. That donut sounds incredible. But it's only available in the UK and Australia. Why should Americans be denied the peanut buttery goodness graced upon Brits and Aussies from Krispy Kreme? It's an injustice. Our forefathers didn't shed blood and chocolate sauce to be denied this mashup of snack foods. Krispy Kreme has yet to respond to pressure via social media, or to deny they don't want pregnant women to devour their donuts. But that's why there's this petition. Already, it has hundreds of supporters and can only help convince Krispy Kreme to make America's peanut butter donut dreams come true. They can't ignore us forever. When Americans stand united, they can make a difference. YOU can make a difference. 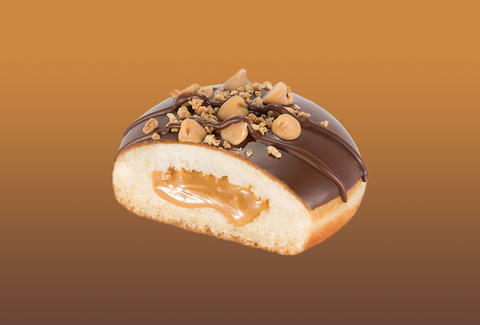 Tell the donut imperialists at Krispy Kreme to bring the Reese's Peanut Butter Donuts to the US. Sign the petition, Tweet at @KrispyKreme, and #MakeDonutsGreatAgain. Ryan Craggs is Thrillist's Senior News Editor. He's feeling especially patriotic and hungry today. Follow him @ryanrcraggs.